Walpole is a town in Norfolk County, Massachusetts with a population of about 24,000 people. The town is rich in history and is named after Sir Robert Walpole, the first prime minister of Great Britain. The small town runs seven public schools which contain a dedicated school committee of seven members. 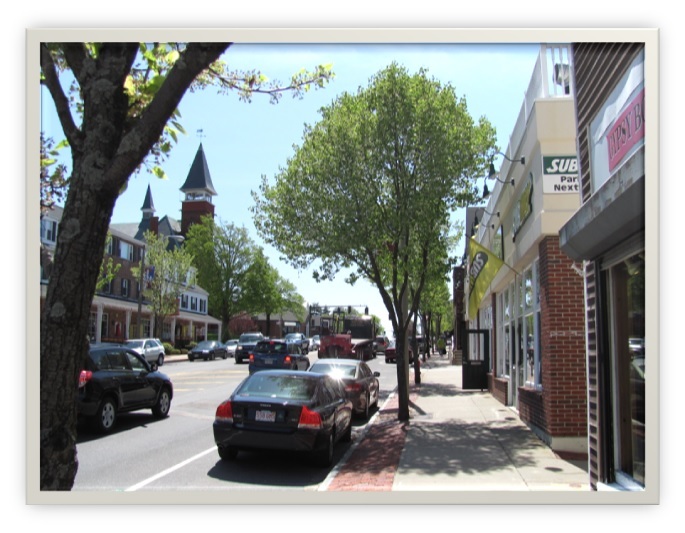 The residents of Walpole enjoy the numerous parks and athletic fields at their disposal. These recreational area are most active in the spring and summer with little leagues and other forms of organized team sports. Walpole has an organization, the Trustees of Reservations, which own and maintain the Francis William Bird Park. Walpole is conveniently located 13 miles south of Boston and 23.5 miles north of Rhode Island's capital, Providence. The town's proximity to these two locations makes it an ideal place to live. Below are the latest real estate for sale in Walpole, MA. Save your favorite listings to your account and we will send you notifications when similar properties are on the market. Don't have an account? Register for free! Location, location, location. This magnificent free standing brick building offers 4,312 sqft of many possibilities like office space, health care industry, retail, daycare and more. 35 +/- parking space on site will be perfect for most type of business. Only 3.6 mile from gillette stadium and patriot palce retailers. Route 1 is close to routes i-95, i-495 and route 27. Easy to show. It won't last!!! The grand foyer and sweeping bridal staircase that greet you as you enter are just the start the many special touches that make this former model home stand out among the homes at High Oaks Estates. Many thoughtful and practical updates have been done throughout including a custom center kitchen island with bar sink, large walk in pantry and bead board mud room with laundry off the kitchen. The floor to ceiling stone fireplace in the family room enhances the dramatic entrance. The living room leads you to the spectacular conservatory with vaulted ceiling, wet bar with refrigerator and wine cooler. A large dining room is ideal for all your holiday gatherings. The master is a perfect place to relax either in the soothing spa tub or the cozy sitting room. A huge walk in closet with a granite topped storage island tops off this spectacular retreat. There are 3 more bedrooms and 2 baths on this level. The finished basement adds another bath, bedroom and huge game room. A MUST SEE! Enjoy this incredible majestic brick front colonial prominently situated at the center of this quiet cul-de-sac neighborhood. This spacious 7 bedroom and 6.5 bathroom home offers a gourmet chefs kitchen, an elegant home office, large media room and solarium with sliders leading to a large deck overlooking a private wooded back yard. In addition, it offers a first floor Master Suite, laundry room, fully finished basement with cedar closet as well as 3 car side entry garage with walk-out. The two story entry, with curved stair and wrought iron spindles, takes you to an opulent master suite complete with sitting area, walk-in closets and master bath with dual vanities and water closets.